Think of the ultimate winter destinations in the world, and quite a few places easily come to mind. In Switzerland, there is the legendary resort town of Zermatt, which is located on the foothills of the equally famous Mt. Matterhorn. East of the country, there’s also the ultra-luxurious resort town of St. Moritz, a favorite among high-flying jetset. Just across the Swiss border, there’s the French commune of Chamonix, the site of the first Winter Olympic Games in 1924 and widely regarded as the birthplace of extreme skiing. In the United States, there’s the city of Aspen in the state of Colorado. Here the most famous ski resorts in North America take in a motley collection of visitors each year, from artists and ski bums to A-list celebrities and Olympic athletes. If you live in Asia and would like to experience the winter season like never before, you don’t really have to look as far as Europe or the United States. In some Asian countries, you can enjoy equally amazing holidays in the continent’s top winter destinations. Read on to find out more about them. 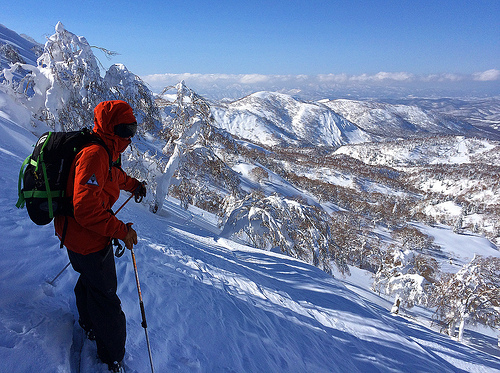 Hokkaido, Japan – Japan’s second-largest island and northernmost prefecture is a premier winter and skiing destination. The island can thank the frigid winds blowing out of nearby Siberia for the top-quality and delightfully weightless powder snow that blankets its landscape during the cold months. Here, ski resort towns in places like Niseko, Furano, Rusutsu, and Teine attract thousands of visitors each year—people drawn by the prospect of enjoying popular winter sports or relaxing in any one of the island’s many onsen (hot spring baths). Every year, in February, the Sapporo Snow Festival also takes place in the prefecture’s capital and largest city, Sapporo. When you visit Hokkaido, consider staying in the village of Akaigawa-mura, where the luxurious Kiroro Resort is located. Not only does the resort offer sumptuous accommodations, it is also home to an advanced, high-speed lift system that will allow you to get as many run times as possible. Furthermore, it’s just 30 minutes away from the quaint, historic port town of Otaru. Make sure to check out the town’s Snow Light Path Festival, which takes place at the same time as Sapporo’s winter festival. 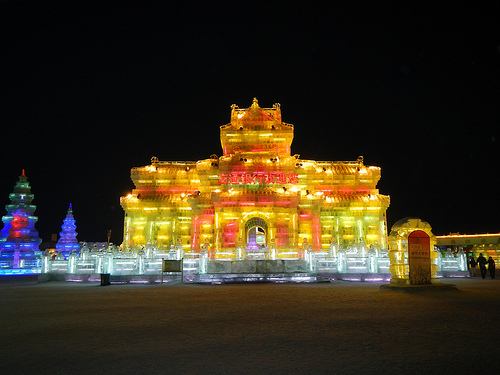 During the festival, lighted snow statues and lanterns are set up all over the town, creating an unforgettable spectacle of lights. Muju, South Korea – Located in the North Jeolla Province some 180 km south of Seoul, Muju County is actually most famous for its summertime Firefly Festival, which takes place every year in June. In winter, however, Muju also turns into a snowy wonderland. The Deogyusan National Park become filled with snow, creating snowy landscapes as far as the eye can see. The area is home to ski resort and spa facilities, restaurants, and shopping centers. The Bandi Land Insect Museum and Bandi Observatory are also easily accessible. While you’re there, you can also drop by the Taekwondowon, a complex dedicated to Korea’ traditional martial arts, taekwondo. The complex comprises a competition arena, a taekwondo museum, a traditional Korean park, and a taekwondo training center whose exterior resembles that of a Confucian school during the Joseon Dynasty. Thanks to its immaculate subzero weather conditions between December and March each year, the city established the Harbin International Ice and Snow Sculpture Festival in 1985 to attract more visitors. Every year, massive buildings made of solid blocks of ice from the Songhua River are built by sculptors on the riverfront. At night, these sculptures are illuminated with multicolored lights, turning the city into a veritable winter wonderland. Gulmarg, India – If you’re keen on enjoying winter on the rooftop of the world, then head over to the resort town of Gulmarg in India, which is nestled in a valley located within the Pir Panjal Range of the Himalayas. The town is home to the Gulmarg Gondola, the highest gondola lift in the world, which takes passengers up to a height of 4,000 meters above sea level on the Apharwat Mountain. The historic area, whose name means “meadow of flowers,” experiences huge amounts of snowfall and offers different types of terrains for skiers and snowboarders. Aside from having been the setting of numerous Bollywood films, Gulmarg is also home to the Maharani Temple, which was established in the early 20th century by a Hindu raja for his wife. For a holiday that is truly worth remembering, consider spending the winter season in any one of Asia’s top wintertime destinations. Enjoy luxurious resorts, fantastic slopes for winter sports, delightful ice and snow festivals, and many more! Niseko is in my opinion the best option for ski and snowboard!